Autism is a brain disorder that often interferes with the ability to communicate and relate to others. The signs of autism almost always develop before the age of 3, although this condition is sometimes diagnosed only later. Usually, parents become worried when they notice that their son / daughter does not start talking and does not respond or interact with other children of the same age. Typically, children with autism do not have a normal development of speech and can “seem” deaf, although audiometry tests are normal. 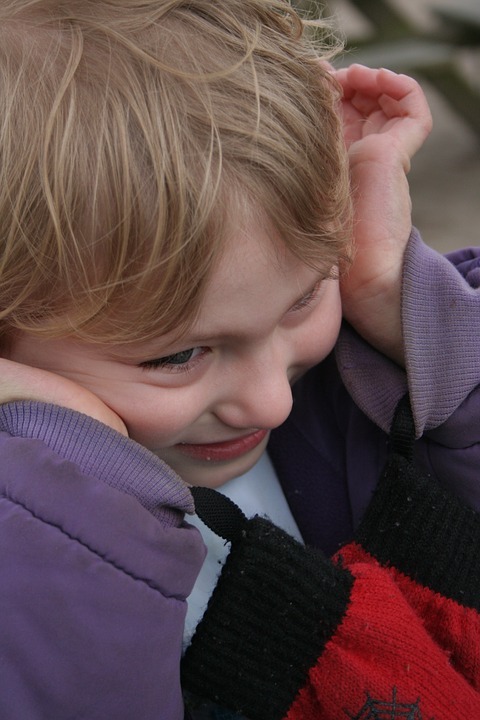 Autism affects the way how the child perceives and processes sensory information. The severity of autism varies. Some need a attendant in almost all areas of their everyday life, while others may be able to operate at a very high level and may even go to a normal school. Although this condition lasts a lifetime and determines varying degrees of social isolation, treatment can bring a significant improvement in the lives of people with autism. Early diagnosis and appropriate treatment have led to an increase in the number of people with autism who are able to live independently when they reach adulthood. Autism seems to have a family aggregation, suggesting the existence of a genetic factor. Because people with autism can have plenty manifestations, ranging from individual to individual, scientists believe that up to 1000 genes are involved. The ongoing research aims to identify these genes. 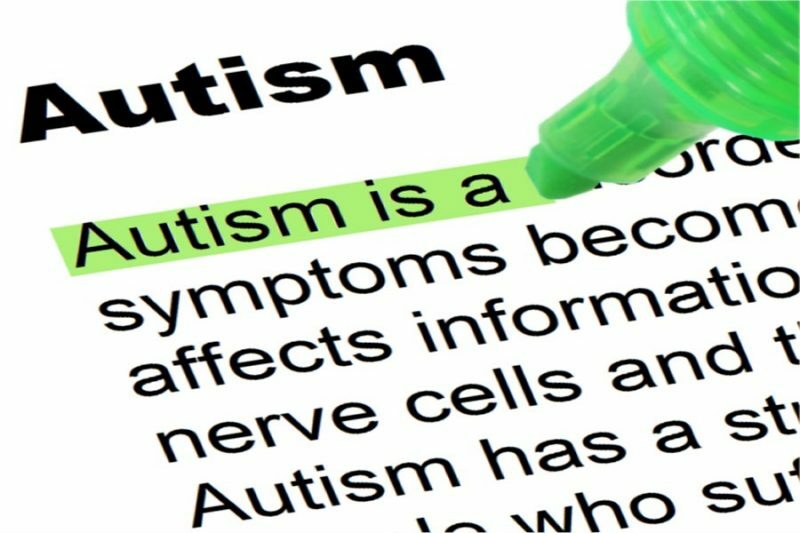 Some experts also believe that environmental factors may play a role in autism, and although they have studied several such factors, including vaccines, they have not found a clear cause so far. Brain imaging of people with autism had identified abnormalities in certain brain areas, including those responsible for emotion and social relationships. Other studies suggest that people with autism have elevated neurotransmitter levels, called serotonin, a chemical that sends messages inside the brain. However, these studies are preliminary and research is currently underway to explain the brain damage in autism. Social interactions and interpersonal relationships. – lack of empathy. People with autism may have difficulty understanding other people’s feelings such as pain or sadness. – delay in speech or lack of it. Approximately 50% of people with autism will never speak. – problems initiating a conversation. Also, people with autism have difficulties in maintaining the continuity of a conversation they have begun. – sterotip and repetitive speech. People with autism can repeat a sentence or a phrase they have heard recently (echolalia). – difficulty in understanding the point of view of the person they talk to. For example, a person with autism might not understand that someone is joking. – can interpret the communicated message word-by-word and do not have the ability to understand the message, the meaning given. – Stereotype behavior. It consists of beating their palms or rocking their body. Symptoms of autism are usually seen first by parents or others during the first 3 years of the child’s life. Although autism is present at birth (it is congenital), the signs of this disorder can be difficult to identify or to diagnose during early childhood. Parents often become concerned when their child don’t wants to be held, when they seem not interested in certain games and when they do not start to speak. Also, parents are puzzled about the child’s ability to hear. Often, it seems that a child with autism does not hear; yet at other times he or she seems to hear distant background noises, such as the rushing of a train. With a run early and intensive treatment, most children improve their ability to relate to others, to communicate and to self care as they grow old. In contrast to popular beliefs about children with autism, very few are completely socially isolated or “living in their own world”. During adolescence, behavior changes. Many adolescents gain skills, but they still have a deficit in the ability to relate and understand others. Puberty and sexualization can be more difficult for teenagers with autism than for children of the same age. Adolescents have a slightly increased risk of developing depressive disorders, anxiety or epilepsy. Some adults with autism may be able to have a profession and an independent life. The degree to which an adult with autism can lead an autonomous life depends on the intelligence and the ability to communicate. About 33% are able to have at least partial independence. Some adults with autism have a great need to be helped, especially those with low intelligence who can not speak. Part-time or full-time supervision can be provided through home based therapies. At the other end of the spectrum of autistic disorder, adults with high functional autism are often successful in their profession and can live independently, although typically they continue to have some difficulties in dealing with other people. These people usually have an average or above average intelligence. Approximately 10% of people with autism have certain forms of scholarly abilities, special talents, special but limited, such as memorizing lists, calculating calendar data, drawing or musical talent. Many people with autism have unusual sensory perceptions. For example, they can describe a slight touch as being painful or deep pressure can be perceived as a reassuring sensation. Others may not feel the pain at all. Some may have preferences or strong repulsive effects on some unhealthy food and concerns. Autism is one of several types of pervasive developmental disorders, also called autistic spectrum disorders. 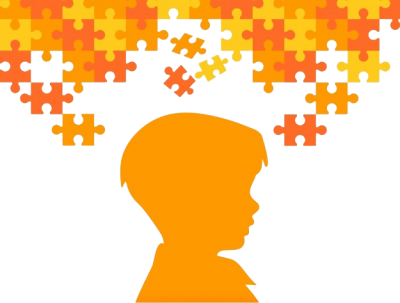 It is not uncommon that autism can be confused with other pervasive developmental disorders such as Asperger’s disorder or syndrome or to have symptoms of other disorders. A similar affection is called the pervasive developmental disorder – without any other specification. This is diagnosed in the situation when children have similar behaviors but do not meet the criteria for autism. In addition, other conditions with similar symptoms may be associated with autism. All professionals who work in the medical field and who see children of all ages on regular consultations they have to look for signs of early developmental disorder. Development screening tests, such as the age and stage development questionnaire, can be helpful in assessing the behavior. – any loss of acquisition of language or social skills at any age. If there are no obvious signs of delay in development or abnormal results in screening tests, most children do not require further assessment until the next consultation date. However, children who have a close relative with autism should be monitored closely because they have an increased risk of having autism and other developmental problems. In addition to the assessment during periodic health consultations, these children may be subjected to tests for developmental delays, learning disabilities, deficits in socializing skills, and any other symptoms that may suggest anxiety or depression. If the develop of social, learning, or behavioral disorders in a person occures, no matter at what time or at what age, that person must be evaluated by a psychiatrist or psychologist. The screening of children to identify autism is recommended in regular consultations, according to the children’s health monitoring programs. This policy helps physicians to identify signs of autism at an early stage of evolution. Diagnosing and early treatment can help the child reach his or her maximum potential. If there is a recognized developmental delay in a child, further testing can help the psychiatrist determine whether this problem is related to autism, another pervasive developmental disorder, or a condition with similar symptoms, such as delay in speech development or evasive personality disorder. They can do additional testing. Professionals in the field can use a series of guidelines and questionnaires to determine the specific type of delay in development in the child. – medical history. During the medical history interview, the psychiatrist asks general questions about the child’s development, such as whether he or she shows the parents different things with the finger. Young children with autism often point to the objects they want, but they do not show parents clearly for a specific object, and then do not check to see if the parents are looking at the object they have indicated. – diagnostic guidelines for autism. These guides contain the main criteria for evaluating autism and have been established by specialists. They are designed for children aged 3 years or older. – other behavioral questionnaires. Additional diagnostic tests may be applied to children under 3 years of age. – clinical observations. The psychiatrist may want to observe the child with developmental delays in different situations. Parents can be asked if certain behaviors are common to their child in those circumstances. – laboratory examinations. Other tests can be used to determine if there may be a physical cause that could give these symptoms. – audiometry tests to determine if ENT disorders (hearing problems) can be the cause of the delays in development, especially if there is a disruption of social skills and the use of speech. – tests for the identification of lead poisoning, especially if there is a pica (where a person consumes nonedible substances such as earth or splashes of old paint). Children with delays in development continue to put various objects in the mouth, while this stage is overtaken by children with a normal development. This habit can lead to lead intoxication, which needs to be identified and treated as soon as possible. In some circumstances, additional laboratory tests may be performed. – Chromosomal analysis, which can be done if the child has a mental retardation or if there are cases of mental retardation in the family. For example, fragile X chromosome syndrome, which causes a number of issues related to below average intelligence, as well as autistic-like behaviors, can be identified with this analysis. – an electroencephalogram (EEG), which is recommended if there are epilepsy / convulsions present such as a history of episodes in which the child has a fixed glance or if the child returns to a less developed behavior that he previously had (regression in development ). Diagnosing and treating as early as possible can help the child with autism to develop to its full potential. The main objective of the treatment is to improve the child’s general ability to function. Symptoms and manifestations of autism can be combined in many ways and can vary in severity. In addition, the symptoms and manifestations of the same person may change over in time. For these reasons, treatment strategies are tailored to the needs of each individual and to the resources of that family. However, children with autism generally respond best to well structured and specialized treatment. A program that is structured to help parents and improve the speech, social, behavioral, adaptive and learning aspects of the child’s life is most effective. The following strategies are recommended for helping a child to improve global functioning and reach his or her maximum potential. The training and management of the behavior. It employs positive reinforcement, self help and social skills training, with the goal of improving behavior and speech. The specialist in child and adolescent psychiatry can give guidance on this. Media articles and other sources of information have circulated articles on alternative therapies, such as serotonin treatment and auditive integration training. When considering any type of treatment, it is important to know the source of information and to certify that those studies are scientifically founded. Reports of individual success are not sufficient evidence to support the widescale use of that treatment. It is recommended to pay attention to larger, well controlled studies that may be valid. Parents who have a child with autism must have a proactive approach to learning about this condition and its treatment and at the same time working closely with those involved in the chil’s care. It is also necessary for parents to take care of themselves, so that they can cope with the attempts they undergo with having a child with autism. Parents should ask the psychiatrist or contact the associations dealing with children with autism to learn the treatment of autism and to learn how to deal with the child’s manifestations. It’s showed that this type of exercise reduces the stress of family members and improves the child’s functioning. Understanding the affection and knowing it, of the possible expectations, is an important part of helping the child become independent. It is advisable for parents to be informed about the child’s educational rights. 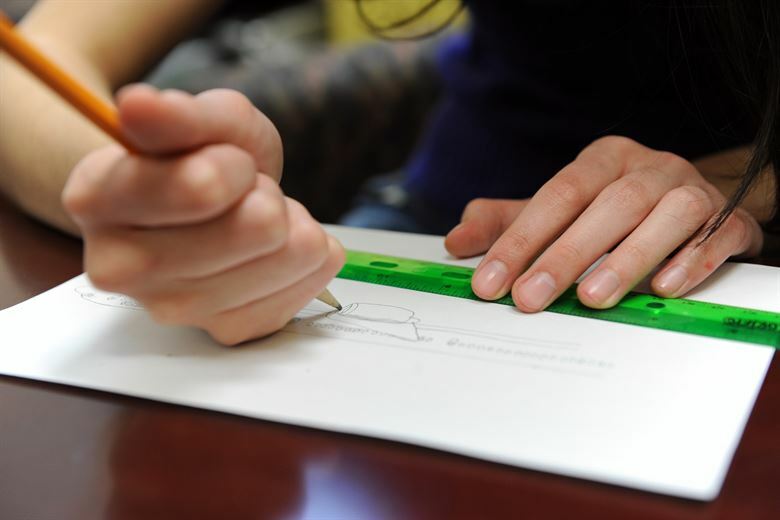 Laws provide certain rights for children with disabilities, including those with autism. In addition, there are some associations that support children with autism and their families. Parents are also advised to be interested in child protection services. Learning about autism, parents can also be prepared for the time their child reaches maturity. Some adults with autism can live “on their own feet”, they can work and be as independent as other people of their own age. Others need a permanent attendant. Parents are advised to work with other people to help them care for their child. Close communication with other people involved in childcare and education is a great help for family members. The best treatment for children with autism is a team approach and the application of a well structured program, consistently. It is important to work closely with people involved in child care. It is also important for the psychiatrist to make time to talk with parents about all their concerns. It is important for parents to take care of themselves. Parents are advised to learn various ways to cope with all the emotions, fears and worries that arise when caring for a child with autism. The day-to-day and long-term challenges to which they are subjected greatly increase the risk for parents and other children in the family to develop depression or other stress related illnesses. The way parents deal with these issues influences other family members. It is good for parents to have a hobby, visit other friends and learn ways to relax. To seek and accept support from others. In addition, support groups for parents and for other close relatives are often very useful; people who participate in these groups can often benefit from the experience that others share. Also, the pediatric psychiatrist can counsel parents or other children in the family if problems occur during their lifetime with the child with autism.